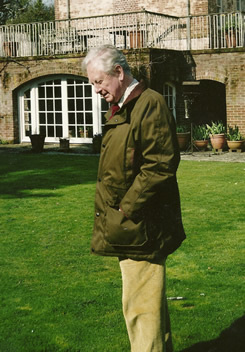 Desmond Seward is one of Britain’s best known popular historians, often regarded as a successor to Christopher Hibbert. He has been writing professionally for over fifty years and is author of nearly thirty books. These range from studies of our medieval kings and the Wars of the Roses to a comparative biography of Napoleon and Hitler. His latest is Renishaw Hall: The Story of the Sitwells. He was born in 1935 in Paris where his father was an industrialist (managing director of Timken Français S.A.) into a family of Anglo-Irish origin who had been wine merchants at Bordeaux since the 1870s, a background that instilled a lasting love of France. He is a fondateur of the Association de Lassaye, dedicated to preserving a fifteenth century château at Lassaye-les-Châteaux near Mayenne, which is owned by French cousins. Educated at Ampleforth and St Catharine’s College, Cambridge where he was an Exhibitioner in History, he has published twenty-nine books of history and travel. Unfashionably, harking back to Macaulay, he believes history is literature, and that readability and accessibility are an essential part of the historical process, but is equally convinced that there is no substitute for a first hand study of primary sources. In 1991 (in a book of essays on Brooks’s, edited with Philip Ziegler), he unveiled the true identity of the model for the great anti-hero Widmerpool in Anthony Powell’s novel A Dance to The Music of Time.